After a considerable amount of time we have decided to stop farming out the production of our products and bring manufacturing in house. We have decided on a PPM Quad 4c. This is a refurbished machine that should serve us well. We initially plan on using this machine to assemble some new LED matrix products for 2013. I plan on detailing the arrival and installation of the machine into our facilities. We are super excited! 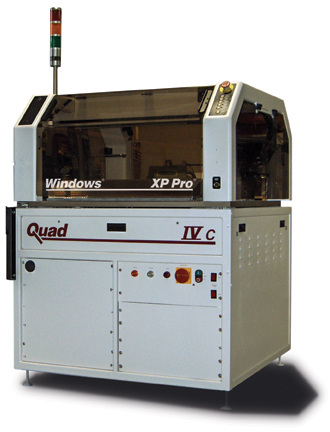 Details about the machine can be found at http://www.goppm.com/quad-4c-pick-place.php. *Update – We are going to be visiting PPM on 18 March 2013 for our initial training on this machine. I am looking forward to bringing some of the newly planned WS2811 Matrix Boards up for intial assembly. I’ll be sure to take lots of pictures and video of the new machine and the friendly folks at PPM. ← Bring it on 2013!